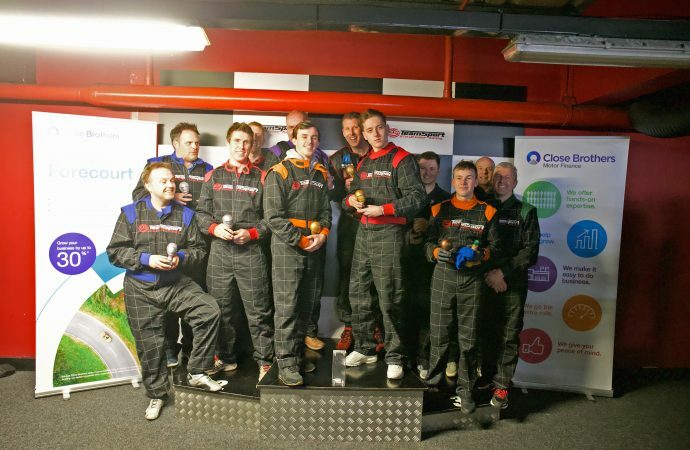 Car Dealer Go-Karting Challenge: Who took the spoils at our final regional qualifier? GLOUCESTER-based dealership Blade Group Volkswagen took the spoils in the fourth and final regional qualifier of the Car Dealer Magazine Go-Karting Challenge, held in association with Close Brothers Motor Finance. It was another thrilling encounter and more than matched the previous three qualifiers in terms of entertainment and excitement. 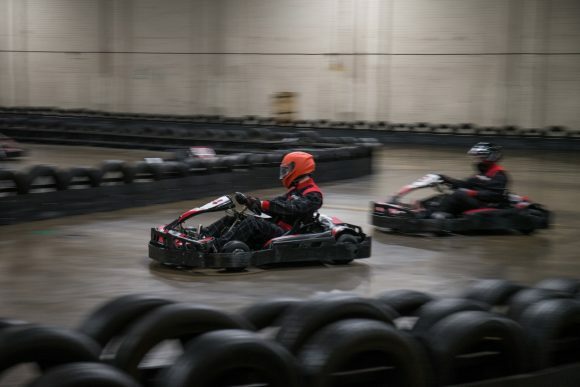 The battle for victory in the closing stages of the 90-minute race – held at TeamSport Bristol – echoed much of what had gone on in previous rounds, with three teams consistently troubling the top of the leaderboard throughout. The teams rivalling Blade Group for top honours were Winford Ford (Kart 12), who had started in pole position, and ‘The Splends’ (Kart 14), a team formed of Close Brothers customers from various dealerships. Both held the lead at various points during the race. The result came down to a breathless closing stanza, with Winford Ford ahead of the pack as the race reached its climax. However, they were shown a black flag during the last 10 minutes and had to serve a penalty in the pits. That setback put the team’s final driver, Charlie Parker, down to second position, though he was still close behind the Blade VW team (Kart 18), otherwise referred to as the ‘Beautiful Blades’, who ran brand manager and former kart racer Andrew Perry in the last stint. In the closing moments, both Parker and Perry had to watch out for Splends driver Sy Holloway, who races Legends cars at a national level in his spare time and was hot on their heels. Holloway had reduced a gap of 20 seconds to fewer than seven when Charlie Parker emerged from the pits, and despite having to fight through traffic, he managed to take second position. Holloway did not have time to catch Perry up, however, finishing 4.748 seconds behind him. Parker completed the podium, just 5.667 seconds off the victory. All three top teams had completed the same number of laps – 127 – during the exciting race. Fellow Blades team members Paul Adams, Cameron Ali and Scott Aherne – the latter of whom had been employed just 20 days prior to the race – all agreed that they had enjoyed their night out, and thanked Close Brothers Motor Finance for sponsoring the event. Beautiful Blades and ‘The Splends’ have both received automatic qualification to the final in Reading, which will be held on March 28. As with previous rounds, the third-place finisher, Winford Ford, will now be considered for a place in the final too, based on their pace relative to the race winner. The holder of the fastest lap outside the top three – Team Roxy – is also in contention for a place on the starting grid in Reading.